Supplements are just as the name implies - something to be taken to go along with a regular diet. An international supplement manufacturer supplies supplements to the market all around the world. Being an international supplement manufacturer also means we need to know and comply with the different countries’ laws and regulations concerning composition, manufacture and control of these supplements. 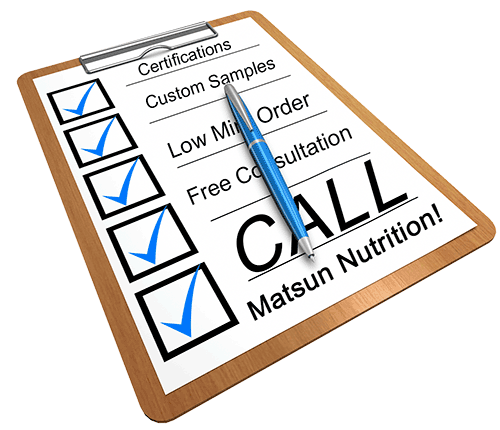 "As a full-service liquid vitamin and supplement manufacturer, Matsun Nutrition is here to help you achieve your goals." It is complex and sometimes difficult work, but it can be very rewarding for you and your customers. Let’s look at why it is a popular business today, and how you can get involved. Today’s consumer is concerned with his or her health more than ever. With most U.S. adults expressing confidence in supplements, and a majority of them taking supplements, there is a large market for the international supplement manufacturer to tap into. 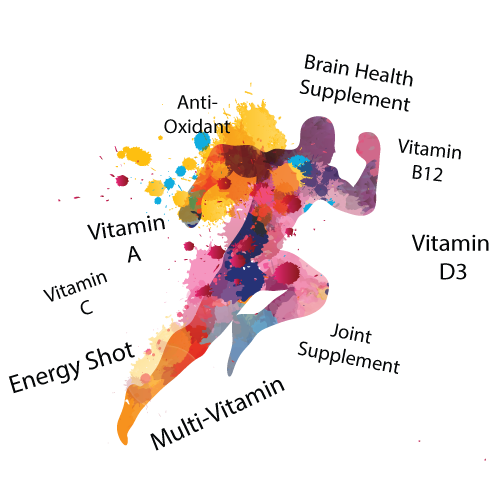 "Studies have found that many individuals continue to benefit from a variety of specially formulated health supplements"
Worldwide being healthy has become a life choice. The population is aging and needing more in the way of supplements. The rise in the interest in preventative care and consumers who want to be proactive has also led to increased growth in the manufacture and delivery of supplements. As a result,the value of the global supplement market is in the billions. 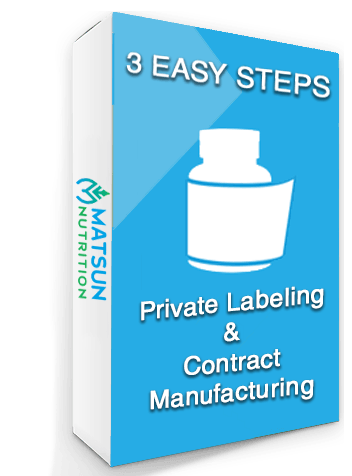 Here at Matsun Nutrition we make it easy to get started with your own brand of ﻿private label supplements﻿﻿﻿﻿﻿﻿. Just 12 bottles to Get Started! 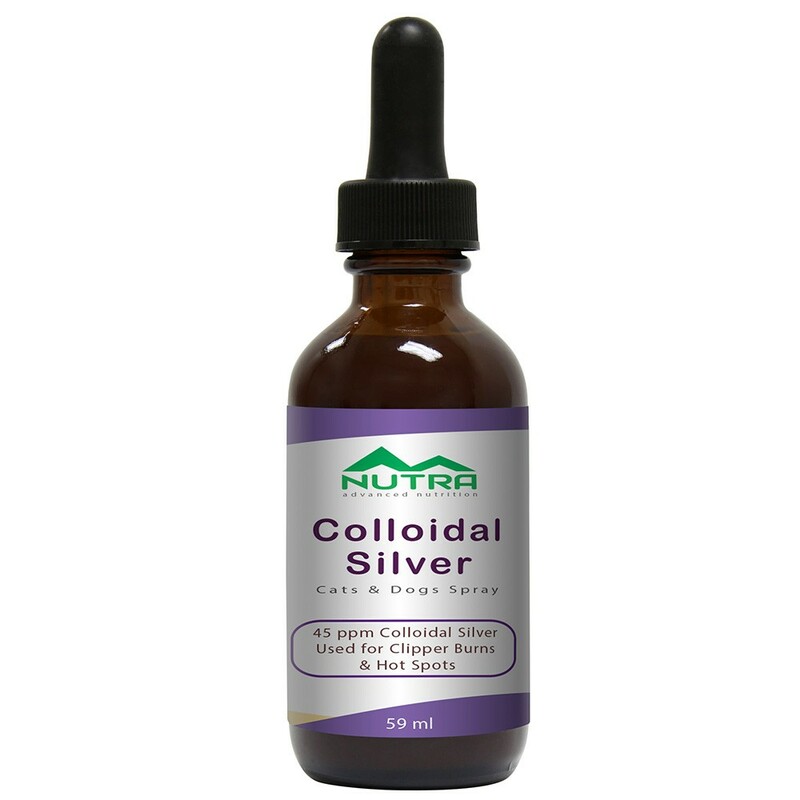 We offer over 40+ proven formulations for a variety of liquid vitamins and supplements for both people and pets. It's really as simple as 1-2-3 ! Choose one of our in-house liquid vitamin or supplement formulas. We create a unique and exciting label for your new brand. Place your order and then we ship it out within just 1-2 days! All of our liquid vitamins and supplements are made in the USA. 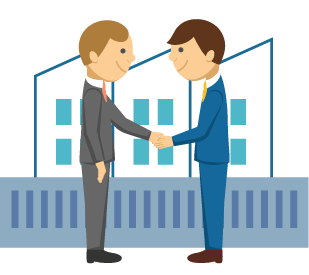 Get a FREE 1 on 1 CONSULTATION! Get on the fast track Start building your business today! Let us help you get started or grow your supplement business! Specializing in ﻿﻿﻿﻿custom liquid supplement formulas﻿﻿﻿﻿ for over 20 years, we have the experience, skills and technology to meet your special needs. Our sales reps, chemists and formulators are ready to help bring your ideas to market, including small batch custom samples. Contract and Custom Formulations at up to 25% Below Wholesale! So, whether you are looking for an energy shot manufacturer, a high quality multivitamin or glucosamine for dogs, we can guide you through the process. Give us a call now for a free consultation. As mentioned earlier, those who would be interested in the international supplements business need to study and learn what they can on the topic. Whether manufacturing or distributing the supplements, the rules and regulations need to be followed. There are lists of what supplement labels must contain in different countries. 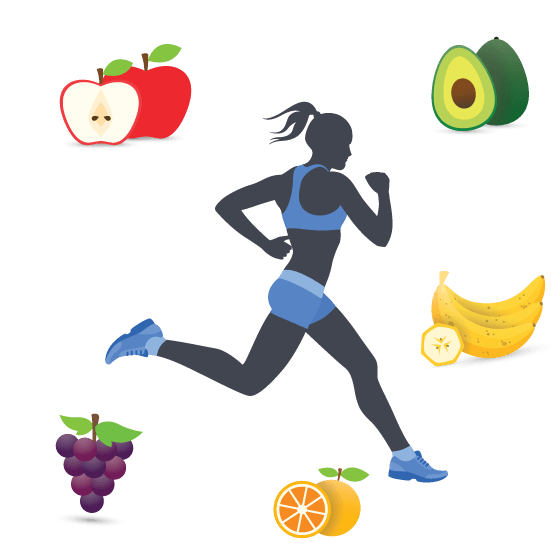 "Vitamins and supplements are an important part of living a healthy life"
Many products are not composed of single ingredients, but are a blend of ingredients designed for a specific purpose. This is important to know because the natural ingredients in supplements cannot be patented, but a new proprietary blend of those ingredients can be. Anyone in this field needs to remain up-to-date in it. While some consumers may be able to get all the nutrients they need from their regular diet, but, for whatever reason, many cannot. "Matsun Nutrition...providing quality products to help supplement a healthy lifestyle"
That’s where we, the international supplement manufacturer and retail distributor, come in. to Our Awesome FREE eBooks! Taken in the proper dosage, supplements are safe and can offer many health benefits. When supplying to the U.S., an international supplement manufacturer must meet certain standards that are required by different. Health experts agree that there definitely is a place for supplements to fill in the gaps found in the diets of many consumers. It is important to choose carefully when deciding on your next supplement manufacturer. Along with quality, reliability and cost, proper certification is a must. Our private label weight loss supplements are NSF registered, GMP and FDA compliant. Matsun Nutrition proudly manufactures all of our supplements here in the USA. Matsun Nutrition sets itself apart from other supplement manufacturers in many areas. We operate state of the art manufacturing facilities that specialize in liquid vitamins and liquid supplements. 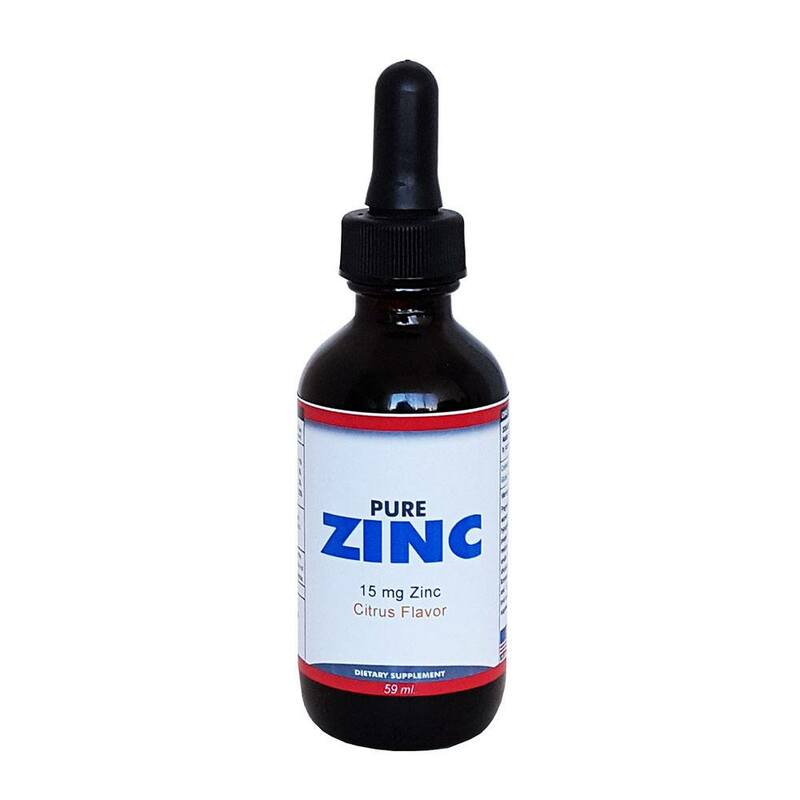 This provides us with specialized training and experience in liquids that other supplement manufacturers just do not have. "And of course, all of our products are Made In The USA!" Our strict internal safety procedures and quality control measures ensure both the safety and quality of our supplement products. In addition to annual inspections, we meet or exceed all regulatory requirements, including NSF registration, FDA and GMP compliance. 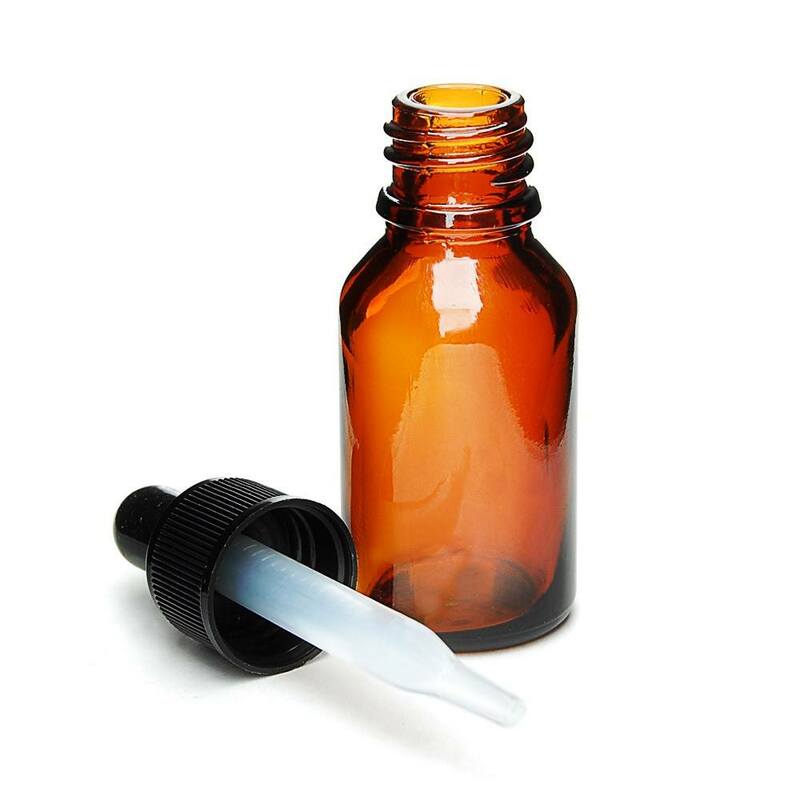 As a full-service manufacturing company we offer everything from research and development of custom formulations to complete labeling, packaging and shipping of your products. We are your one-stop source when it comes to liquid vitamin and supplement contract manufacturing. The supplement industry as a whole continues to outperform many others. This is true not only regarding the sale of supplement for people, but also for pets. It seems that every year, new types and forms of vitamins and supplements are introduced into the market place. 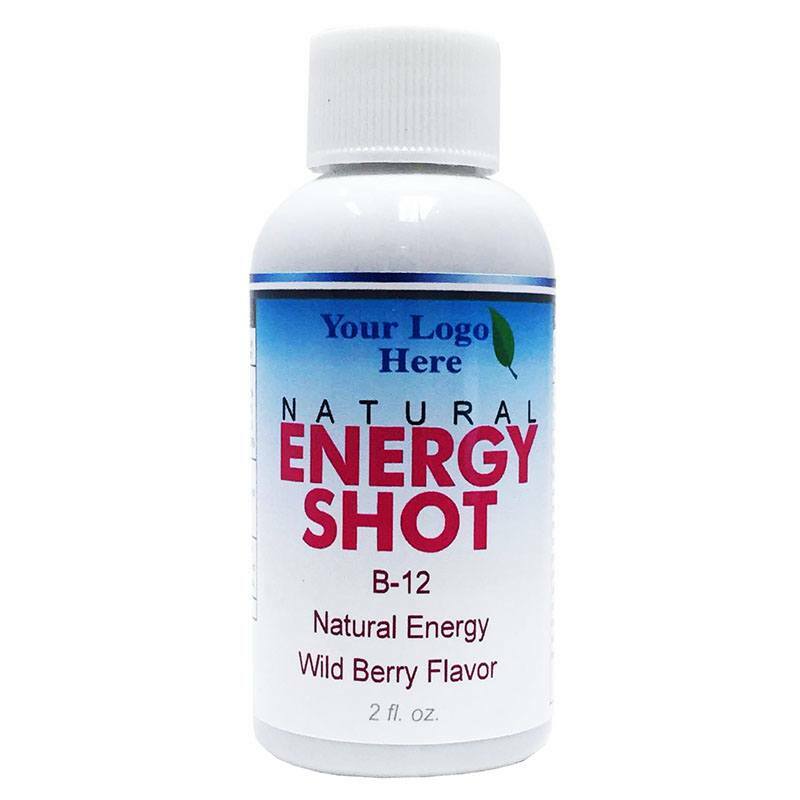 Whether it be gummy vitamins for kids or energy shots for adults, there is always something new coming out, often times in high demand. 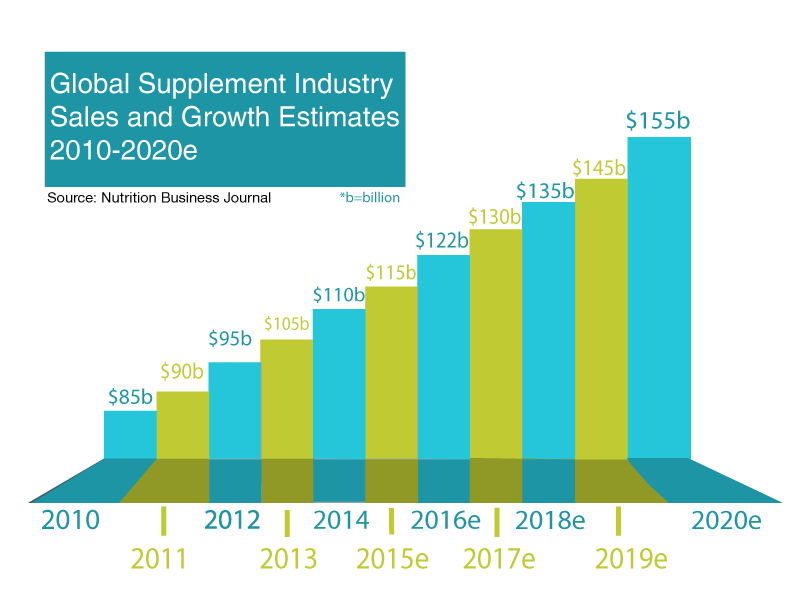 "Supplement Sales are Estimated to Top 150 Billion Dollars by 2020." With such a vast variety of vitamins and health supplements to choose from, it's no wonder that the supplement industry continues to grow. As such, this affords both small and large companies to jump into the market without fear of too much competition. 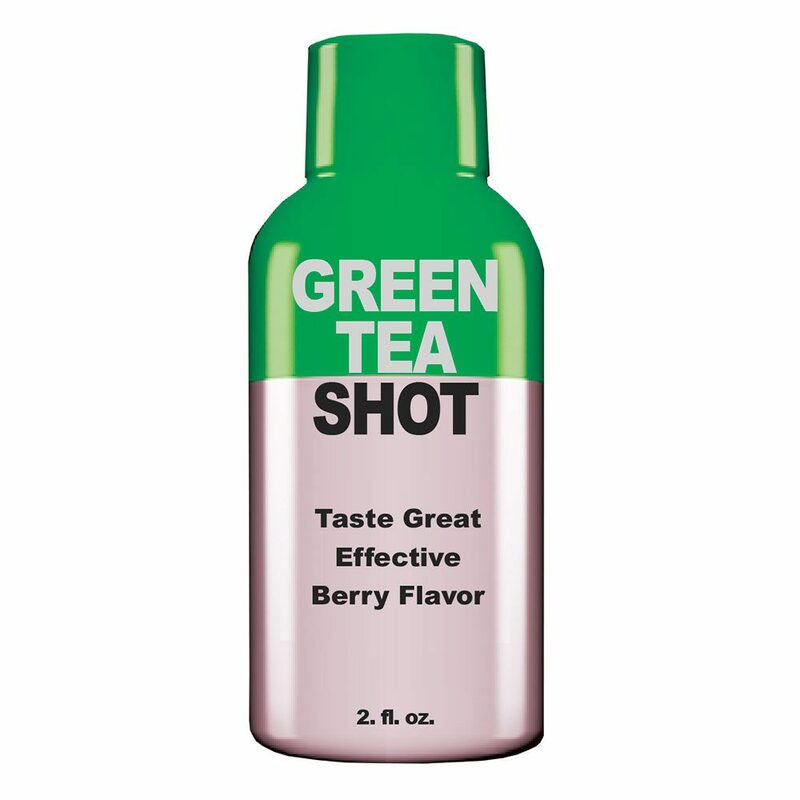 With the popularity of private label brands being accepted by consumers wishing to save a few dollars, and the relatively low start-ups costs, successful new entries into the supplement market are becoming more and more common. There are, of course, the obvious income possibilities from this thriving business. As we have seen, there is a market to be tapped, and while it is a competitive market, you could have a slice of that pie. But there is also an inner personal benefit. You can provide a needed, and sometimes vital, product to help the public maintain good health. "Increase your profits!...start selling your own branded supplements "
Another benefit is that it may be easier for you to get started in the international supplements business because there are fewer upfront costs or the monthly overhead that many other business opportunities require. Today, selling online is the most popular sales platform due to the endless benefits it offers to both the business owner and consumers. Selling supplements online also affords very low start-up costs. 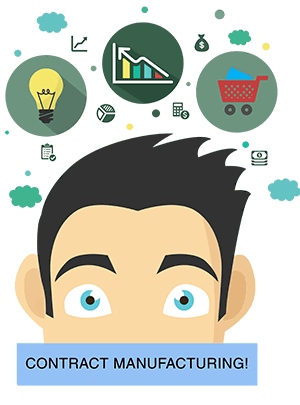 Millions of people are buying and selling products online each and every day. How about you? Many retailers sell supplements through their own successful online stores. However, another great option is ﻿selling supplements on Amazon. No experience, no problem. Matsun Nutrition can help you get started! Another good thing about starting your own liquid supplements is that you can choose the ideal place to sell your supplements based on your target market and personal preferences. First thing you will want to do is make sure you follow the rules of Good Manufacturing Practice (GMP). "A well-branded supplement can attract all kinds of new buyers to your store"
Today, a successful supplement business can be started and marketed without ever having a brick and mortar shop. This is especially true for being an international supplement business. 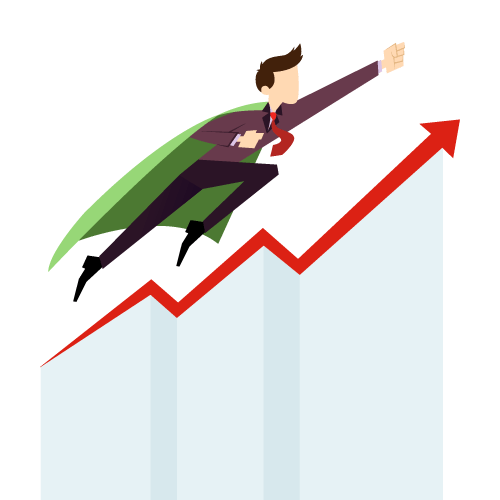 Most of your customers today are going to be online, and you must have that channel in your marketing plan. As an international supplement manufacturer, we can help you set up your supplements business by providing supplements, brochures, catalogs, and other business aids to help you succeed. The supplement business is popular and demand continues to grow, and we would like to help you be a successful distributor, retailer, or reseller of international supplements. An increase in these supplement businesses is often met by a corresponding increase in international supplement manufacturers. If you are you looking for a fully registered, reliable, full-service liquid vitamin and supplement manufacturer, then look no further than Matsun Nutrition. Here are just a few of the many reasons to choose Matsun Nutrition. Over 20 Years Specializing in Liquid Vitamin and Supplement Manufacturing! 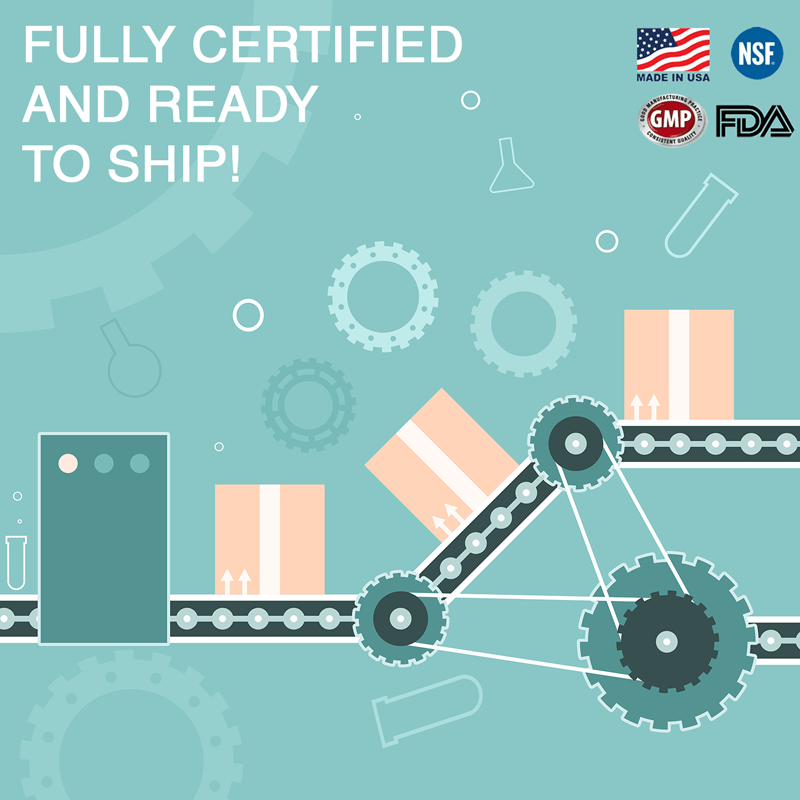 NSF Registerd, GMP and FDA Compliant! FREE 1 on 1 Professional Consultation! Our in-house production team and expert staff are ready to serve you! Whether you would like your supplements shipped locally or internationally, we guarantee quick shipping with the lowest possible shipping costs. Our goal at Matsun Nutrition is to provide you with the highest quality products at the most affordable prices, and to assist you with your growing and successful business. Give us a call today!